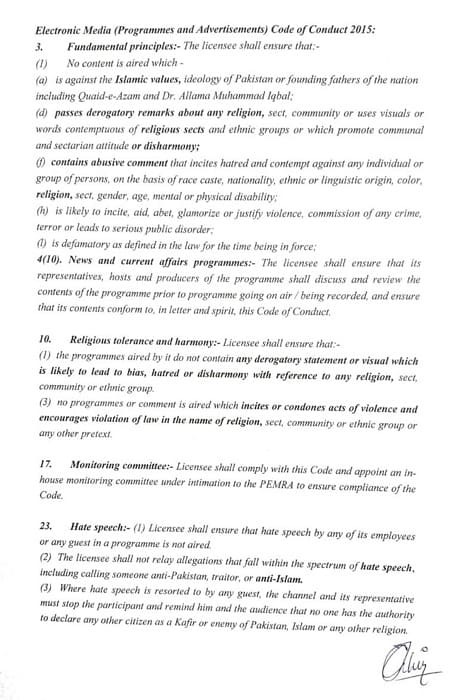 The politician-host Aamir Liaquat Hussain has a way of getting banned and this time too he didn’t falter. He was hosting Ramadan show on Bol this year. On Friday, a lot of drama was created when he took a call where the caller raised a controversial question. This led to further mismanagement when the whole show was aired un-edited. Ulama started having a heated conversation on sectarianism while the host Mr Aamir Liaquat Husain walked out of the live show. 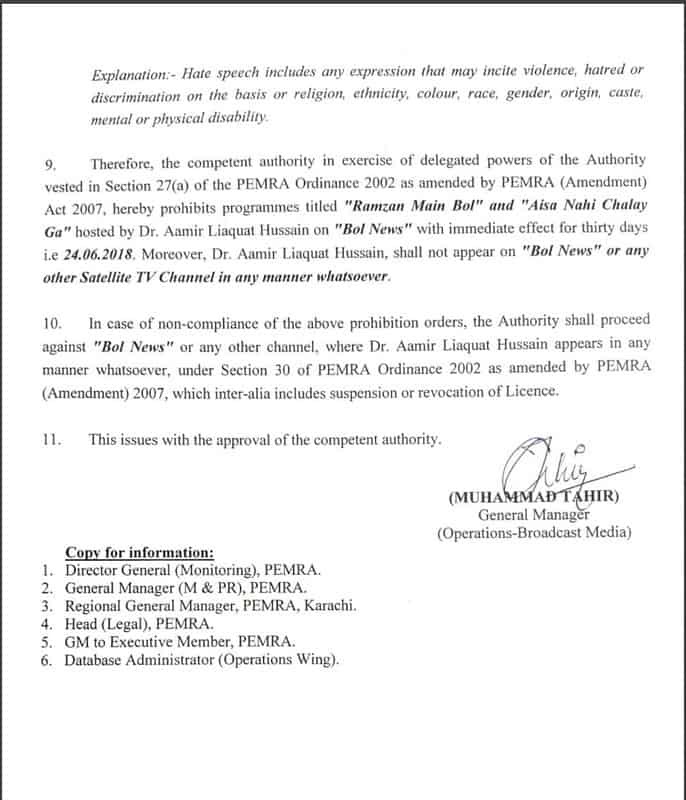 PEMRA surprisingly took notice of the matter immediately and has banned Dr Aamir Liaquat from appearing on any Tv channel for 30 days. 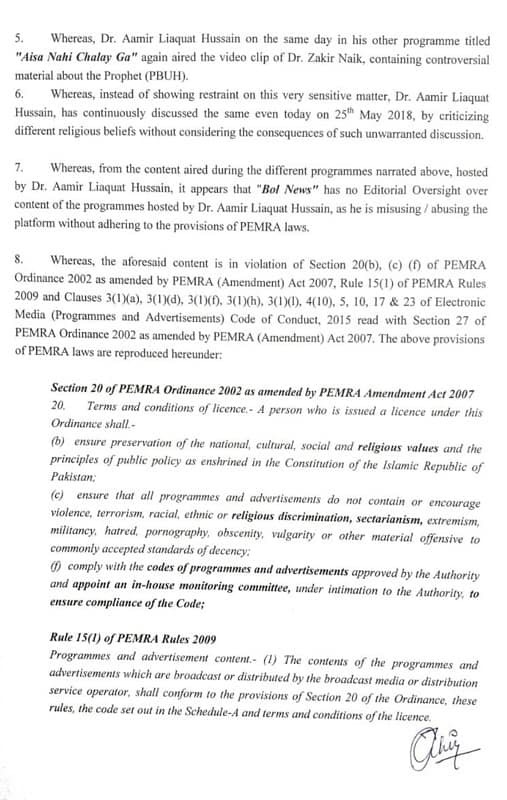 This is the notice issued by PEMRA. 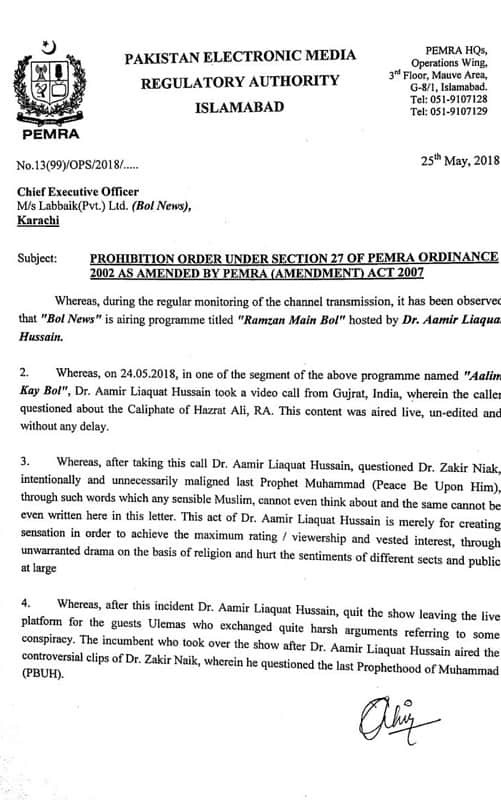 The ban is applicable on Aamir Liaquat Hussain for Ramadan only!